The Carless Cartoon Collection, 2006: 191. “I never draw anything that discriminates against working people, Which includes damn near all of us …” The Hecklers: 232. 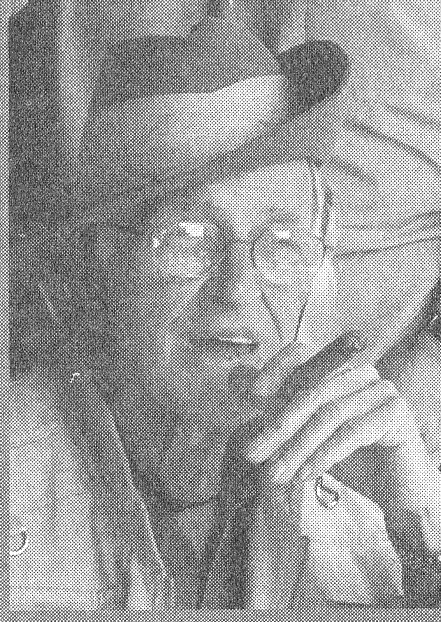 Born 1920 in Swansea, Ontario. 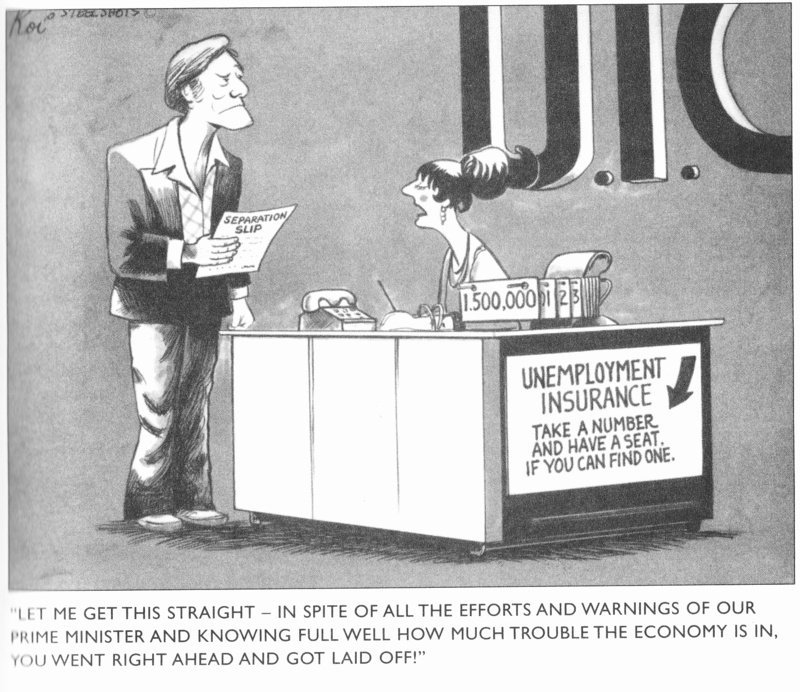 He moved to Hamilton in the late 1940’s and became involved in Union work, drawing cartoons for the local’s paper. He expanded into freelance work, keeping his regular job. With encouragement from Duncan Macpherson, he continued to draw for as many as 20 labour publications a month. 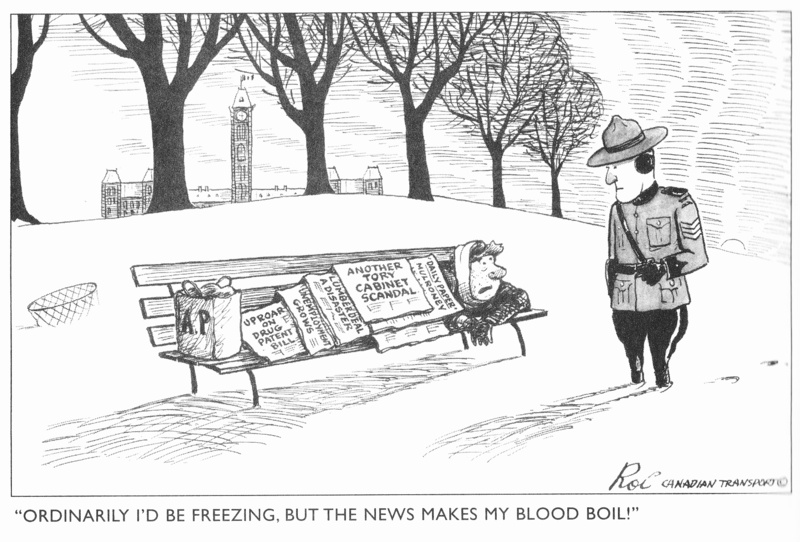 Best Canadian Political Cartoons, 1983. Ed., N.M. Stahl. For., David Rosen. McClelland & Stewart Ltd. Sept. 1983: 19, 24, 88, 134. The Carless Cartoon Collection. Seraphin Editions, 2006. “Roy Carless.” Portfoolio 21: The Year’s Best Canadian Editorial Cartoons. Ed., & Writ., Guy Badeaux. McArthur & Co. 2005. The Hecklers. Writ. & Ed.., Peter Desbarates & Terry Mosher. McClelland & Stewart Ltd., 1979: 232. The Carless Cartoon Collection, 2006:175.